Hezron and Andrew of Sumting Fresh are one of the Fourways Farmers market’s greatest success stories. 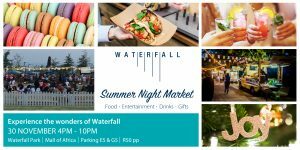 Fourways Farmers Market c/o William Nicol Drive and Monte Casino Boulevard, Fourways, Johannesburg. Taste the finest and freshest flavours. WE LOVE SUPPORTING LOCAL MUSIC! At least four top artists perform every weekend. Create the perfect picnic to enjoy in our landscaped garden. 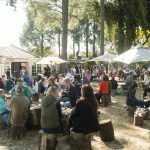 Immerse yourself in the most beautiful outdoor market in Johannesburg, Located on the original Fourways Farmstead. 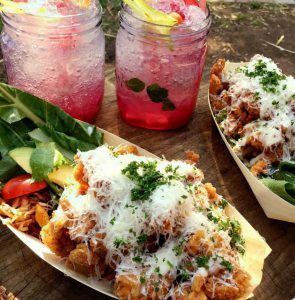 The Fourways Farmers’ Market boasts 107 VENDOR STALLS, selling carefully selected products that are LOCAL, ARTISANAL, DELICIOUS! We have brought together both new and experienced marketeers and award-winning chefs, absolutely passionate about their products and specialists in their field. 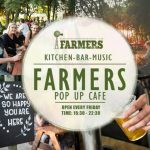 True to the tradition of Community Markets, they love to have a chat with their customers, getting to know you all and are very happy to inform you of exactly where your food comes from. 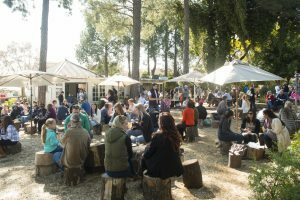 With a choice of seating- under the Jacarandas, in the Maypole Ribbon Marquee area, amidst the beautiful plants in our garden watching the children play or simply having a picnic on the lawns whilst listening to the best local music – you’ll be hard pressed to find a more relaxing way to spend a Sunday in central Fourways. We promise to change your Sundays forever. 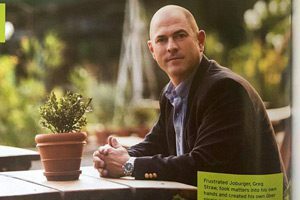 Greg Straw, owner of the Fourways Farmers Market, is featured in the latest edition of Entrepreneur magazine. The Fourways Farmers Market is often used as a venue to celebrate important dates in our lives. What an incredible day this was! With a choice of seating- under the Jacarandas, in the Maypole Ribbon Marquee area, amidst the beautiful plants in our garden watching the children play or simply having a picnic on the lawns whilst listening to the best local music – you’ll be hard pressed to find a more relaxing way to spend a Sunday in central Fourways. 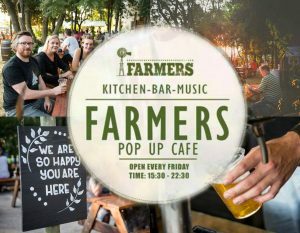 From its inception the Fourways Farmers Market has valued local artisans, small business owners, farmers, artists and musicians and the value that they add to our vibrant community. We are committed to strengthening and encouraging the entrepreneur and supporting all that is both local and lekker. Our talented and friendly community of vendors consist of the finest entrepreneur’s, award-winning chefs, small farmers, artisans, crafters and designers.We truly have the best of the best! Fancy a vintage, country wedding in the city? 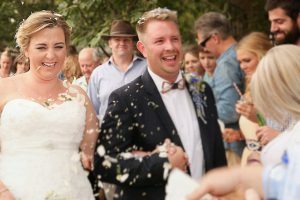 The Fourways Farmers Market is a refreshing and affordable venue for memorable weddings, special functions and innovative corporate events.